Gerry’s passion is working with animals, and he firmly believes that a person should do what they love most. 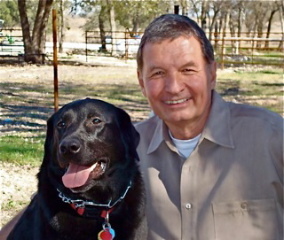 He has lived in Austin for over two decades, and his experience with animal care includes being a vet tech, CPR certification, and training and handling. He also specializes in caring for special needs and senior dogs. Nancy has been working in animal rescue and foster care for over 30 years. Her extensive knowledge and background has gained recognition and respect from Austin pet owners and pet lovers. 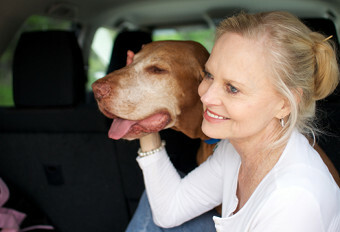 Austin Dog Sitting clients love Nancy’s dedication to service and warm personality. Pet diet and fitness are two of Nancy’s specialties. Our personal commitment to you is to meet all your pet sitting needs, and deliver that extra touch of special service to your best friends. We take our work seriously, and offer dependable and responsible service. We are fully insured, well-respected by our clients, and dedicated to your privacy. We look forward to meeting you and establishing a relationship that insures trust.